SlugFest Games - Now it Feels Official! Battle for Greyport – Pirates! The official documentation has come in. 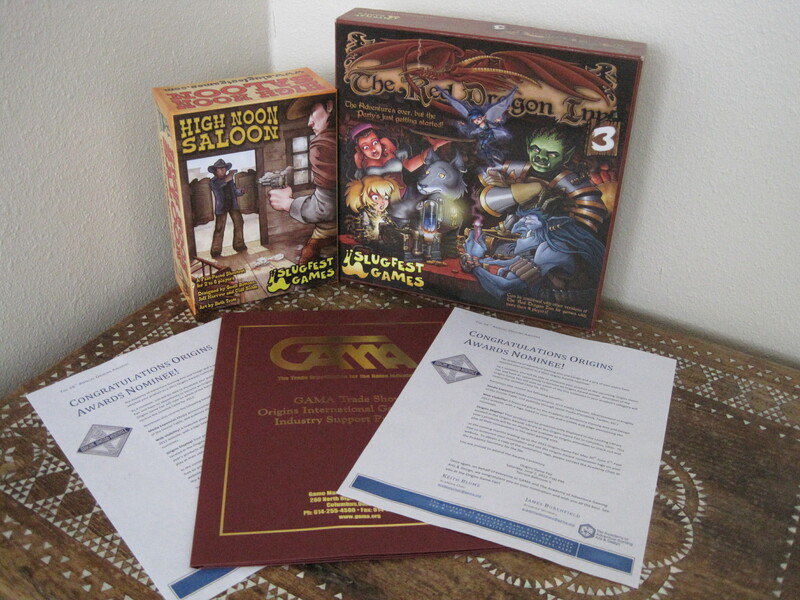 Both High Noon Saloon and Red Dragon Inn: 3 have been nominated by brick and mortar retailers for Origins Awards! Now it’s up to the gamers at the Origins Game Faire to decide which games take home the trophy. Show your support and visit us at the con, and cast your vote!